As a company, NuVasive has been investing into Veteran outreach initiatives and increasing our Veteran talent population. 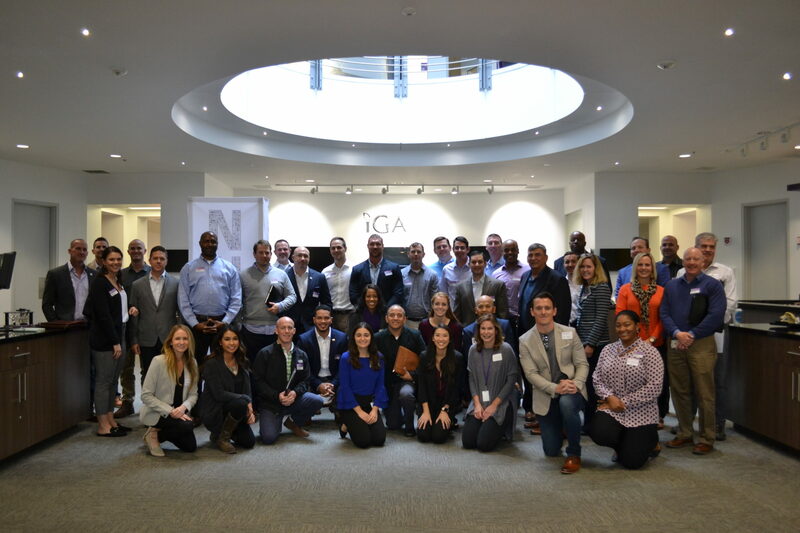 One of the Company’s 2018 goals was to host an event onsite at our San Diego headquarters where Veterans could come learn about who we are as a company, as well as listen to executives discuss how to leverage one’s military experience for a successful, fulfilling career in the civilian sector. 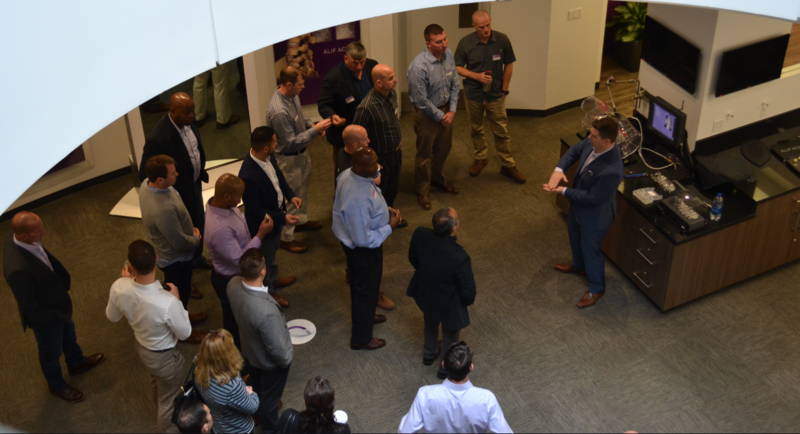 On December 5 we hosted our first Veterans Coalition and more than 20 Veteran attendees had the opportunity to hear from NuVasive leaders, establish connections with our recruiters, and tour the campus. 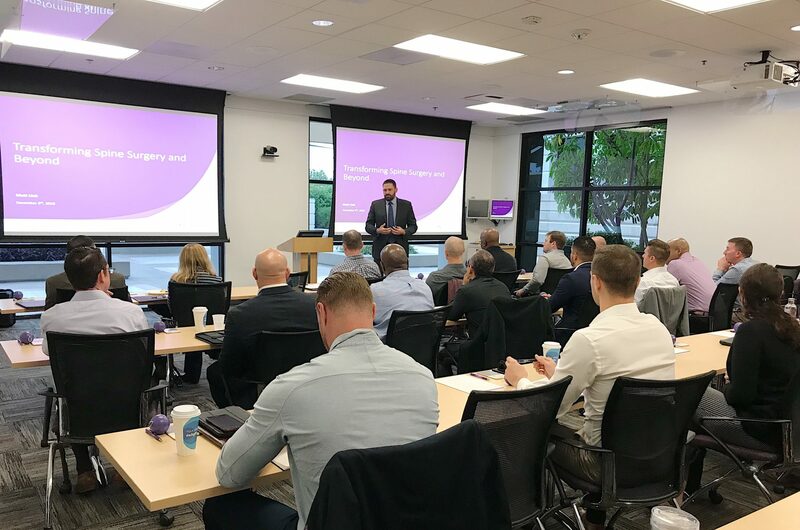 Veterans started their morning with a session from Matt Link, President of Strategy, Technology, and Corporate Development. Matt shared his experience working at NuVasive and provided attendees with a greater understanding of our technology. 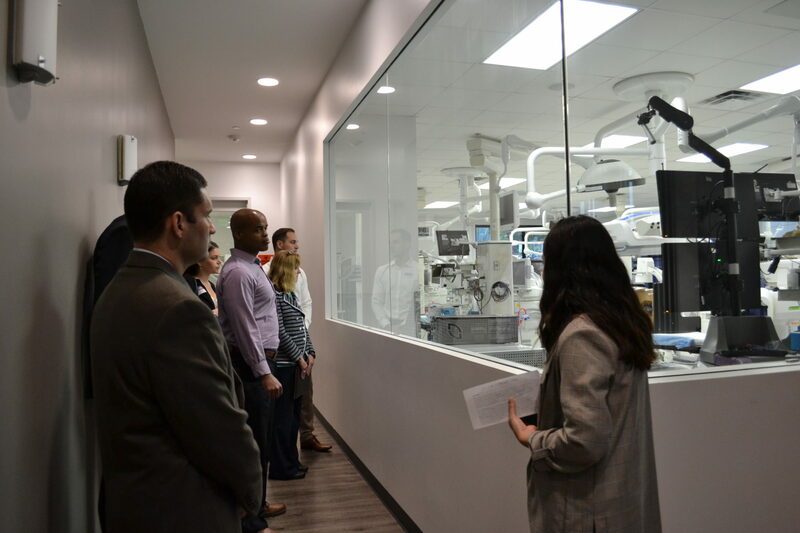 Guests were taken on a headquarters tour to see our machine shop, onsite cadaver lab, future surgeon experience center, and much more. Following the tour of our Lusk campus, Veterans were given a special Veteran-to-Veteran presentation by our Leader of Operations, Larry Lacefield. Veterans heard firsthand about Larry’s experience working with the Honor Foundation and how that decision ultimately led him to NuVasive. Larry also shared his perspective on how his military skills translate to working at a medical device company. Larry was also featured in our #VeteransInSpine series last month, read his full interview here. 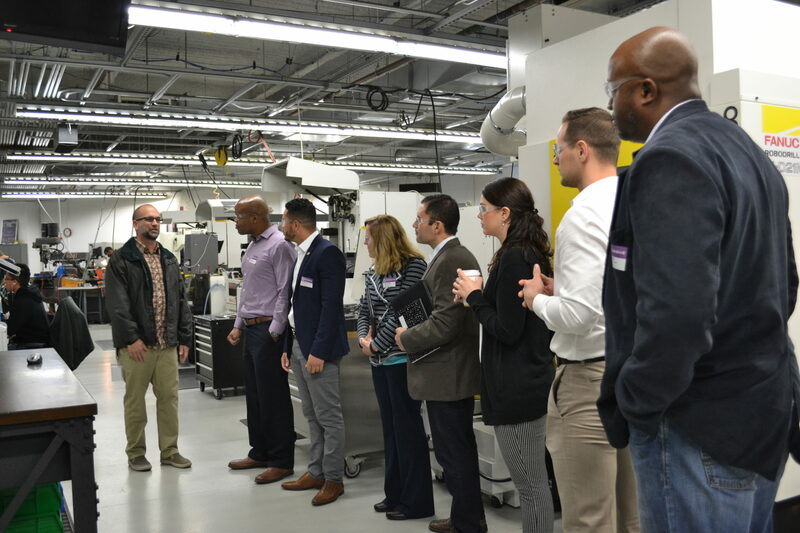 Based on our current needs as well as the interests of our attendees, we hosted four breakout sessions so Veterans could network directly with IT Project Management, Neurophysiology, Manufacturing, or general careers at NuVasive. To wrap up the event, we heard from Pete Leddy, Executive Vice President of People & Culture. 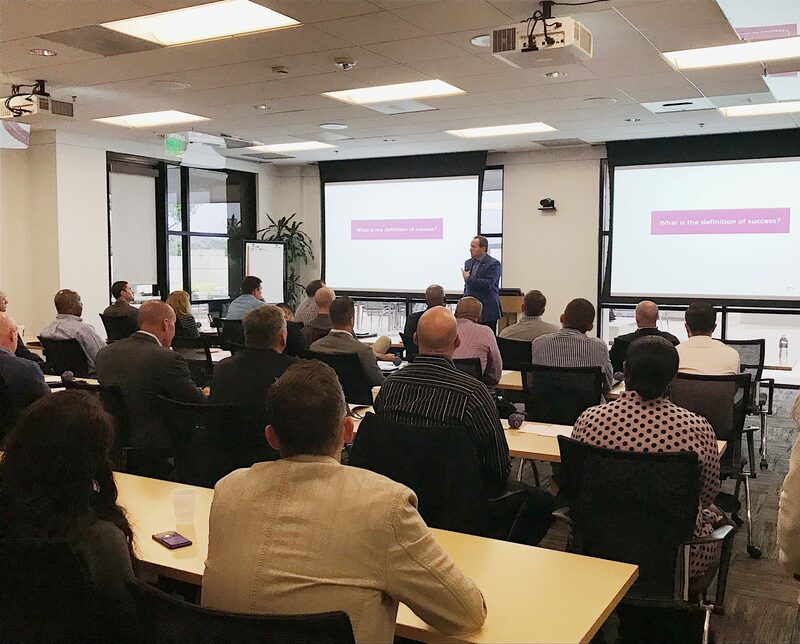 Pete shared his insights on what a great person-organization fit looked like and how important it is to understand both the culture you thrive in and who are you are when looking for a new workplace. Veterans are a talent group that we are passionate about both helping transition back into the civilian world as well as open new doors for their career paths. If you are interested in attending future events and hearing about other NuVasive Veterans news, please join our Veterans community here. To learn more about current opportunities across our locations, please visit our careers page here. Neurophysiological monitoring during cervical spine surgeries: Longitudinal costs and outcomes. NuVasive Clinical Services and UConn collaborate to establish the first Professional Master’s Program in Surgical Neurophysiology in the country.